A limestone outcrop, Gomantang cave is situated in the district of Kinabatangan, a 1½ hour overland drive from Sandakan, in a totally protected forest reserve class IV covering 3,297 hectares. 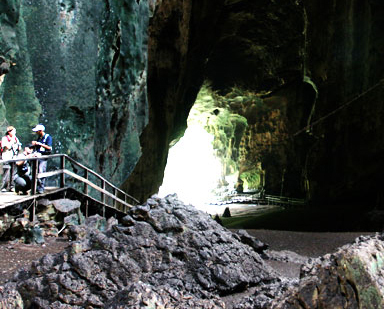 It is the largest cave and the most important source of the prized Chinese edible birds’ nest in Sabah. 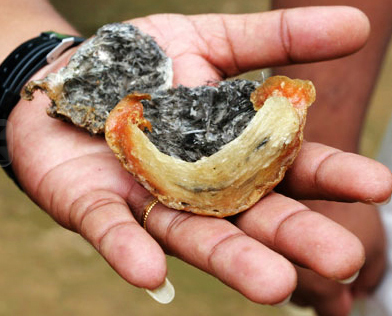 It is also described as “the best managed edible birds’ nest cave in the world” by World Wildlife Fund, WWF. Harvesting of Gomantong cave is carried out twice a year by licensed collectors and is regulated by the Department of Wildlife to ensure that swiftlets are given enough time to make new nests, lay their eggs and hatch them. Harvesting takes place between February and April and in July to September. 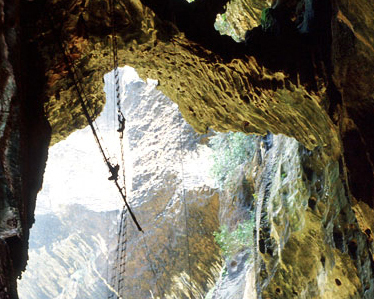 It first began a few centuries ago for trade with China and is a dangerous operation involving the use of rattan ladders, ropes and long poles to reach the high roofs of the caves. Gomantong cave is divided into 2 sections, which is known as Simud Hitam Cave and Simud Putih Cave, and several smaller caves. Two types of nests are harvested. 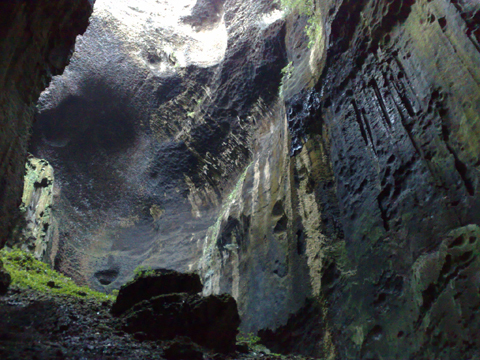 The less valuable “black nests” are gathered from the easily accessible Simud Hitam Cave, whose ceilings reach up to 90 metres high. 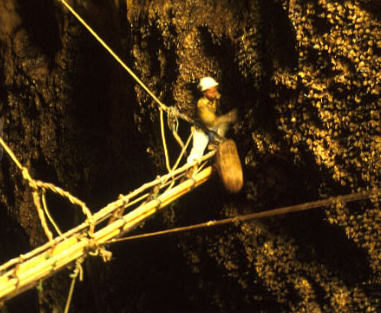 The more valuable “white nests”, made from pure bird’s saliva, are found in the less accessible Simud Puteh Cave, which takes place in February. The swiftlets share the caves with bats which live on the ceiling and the thousands of insects which thrive on the rich bat guano on the floor. This presents the visitor with one of nature’s most extraordinary sights when in the hour before the sundown some 2 million bats exit the caves en masse in search of food at the same time as countless swiftlets return to the caves for the night. The caves and its surroundings are home to a wide variety of birds, including serpent eagles, kingfishers, bluebirds and leafbirds. 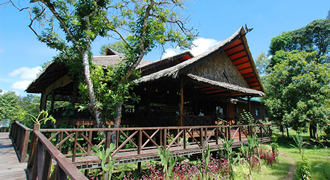 It is also possible to spot orang utans, hornbills and the red leaf monkeys and butterflies. 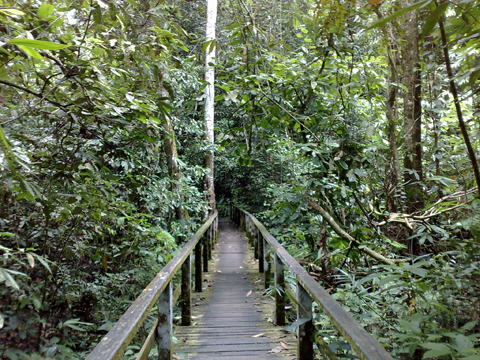 A boardwalk runs around the sides of the Simud Htam Cave main chamber. Visitors can walk along the boardwalk to see the attached birds’ nest on the cave’s wall and roof, shafts of light coming through the holes on the cave roof and listen to the squeaking of the bats. It is definitely a dramatic experience to visit the cave! The best quality “white nests” are so highly prized such that it can fetch up to USD4000 per kilogram, while the “black nests” can fetch around USD2000 per kilogram after cleaning.